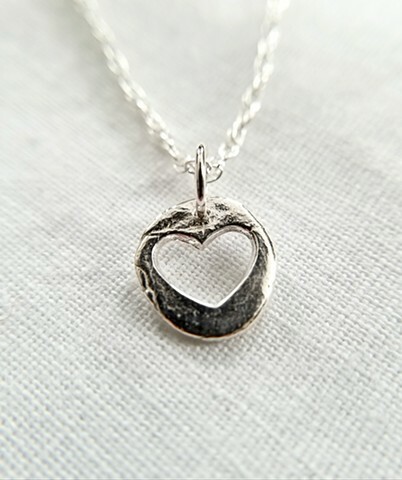 This pendant is made out of fine silver. It's about 0.5 in. The chain is 16in/Sterling Silver. All my jewelry is handmade, unique, designed and made by myself. Shipping is included. USA only.